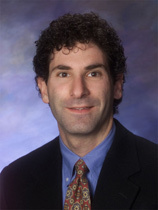 Doctor Paul Nussbaum is a licensed clinical neuropsychologist in the state of Pennsylvania. Having earned his Doctorate in clinical psychology from the University of Arizona in 1991, Dr. Paul Nussbaum completed his internship and Post-Doctoral fellowship at Western Psychiatric Institute and Clinic, University of Pittsburgh School of Medicine. Dr. Paul Nussbaum is an adjunct Professor in Neurological Surgery at the University of Pittsburgh School of Medicine. Doctor Paul Nussbaum has 25 years experience in the care of older persons suffering dementia and related disorders. An expert in neuroanatomy and human behavior, Dr. Nussbaum has published many peer reviewed articles, books, and chapters within the scientific community. Dr. Nussbaum is an international leader in the area of brain health lifestyle ®. His books on brain health including his 2010 Save your Brain and 2009 Your Brain Health Lifestyle: Application to the School, Library, Corporate Setting, and Home are easy to read and informative guides to increasing the health of your brain. Doctor Nussbaum educates the general public on the basics of the human brain and how to keep the brain healthy over the entire lifespan. He has presented his views on brain health at the United Nations and National Press Club. His keynote presentations across the nation are both informative and fun and he is often interviewed by the local and national press/media. He also consults with many companies and organizations to help implement a brain health culture. Dr. Paul Nussbaum serves as the National Director of Brain Health for Emeritus Assisted Living, Chief Scientific Officer for Vivitylabs, Chief Scientific Officer for Fitbrains, Inc, Senior Advisor on Brain Health and Education for the International Center for Leadership in Education, Chair of the Advisory Board for Alzheimer’s Prevention by the Alzheimer’s Foundation of America, Chief Scientific Officer for VibrantBrains and Senior Brain Health Advisor to Moxxor. This workshop will review the clinical aspects of Alzheimer's disease and some of the other major types of dementia. Focus is on the clinical signs and symptoms, differential diagnostics, assessment protocols, treatment approaches, and prevention. Caregiving issues will also be discussed. This keynote and workshop is both informative and applied with the intent of bringing brain health into the culture of an organization or workforce. Dr. Nussbaum teaches the entire company or organization about the human brain, how brain function is critical to positive outcomes, and how to keep the brain healthy. Specific recommendations are made with the staff to implement concrete and tangible components of Dr. Nussbaum's Brain Health Lifestyle into the daily culture of the worksite. This keynote provides an overview on the qualities of leadership and how such qualities map onto the brain and brain function. Focus is given to communication, perception of the behaviors of others and gender differences in behavior. This Keynote presentation provides teachers and the education system to better understand the basics of the human brain, how learning occurs, and how a school building can be transformed into a brain health center. Talks have occurred in partnership with the International Center for Leadership in Education. Dr. Nussbaum will work with all persons on personal development, redefinition of self and career, Lifestyle, and assist with life planning to identify and maximize human potential. This Keynote provides any audience with the basics of the human brain, how the brain operates, and how to keep the brain healthy across the lifespan. This Keynote has been delivered to a diverse audience from the business, education, health care, library, professional organizations, and religious community. The message is personal, fun, and informative. Dr. Paul Nussbaum educates the general public on the basics of the human brain and how to keep the brain healthy over its entire lifespan. In this new book he teaches companies and organizations how to apply brain health lifestyle to their work setting, and shows how we can implement those same principles at home. According to Dr. Nussbaum, brain health is intimately interconnected to nutrition, physical activity, socialization, mental stimulation, and spirituality. Nussbaum establishes a step-by-step program that individuals and organizations can follow, and he offers a variety of "brain health tips" that anyone can practice in the course of a single day. "Brain health should be part of every corporate wellness program and part of every health care plan," Nussbaum says. "My hope is that readers of this book will begin to better appreciate the greatness of their brain...the most magnificent part of you...and begin to dedicate time and effort toward their own brain health." Expert advice on how to ward off memory loss and dementia Beginning with a diagnostic quiz to help you determine your overall brain health, and ending with meal plans and recipes for a brain boosting diet, Save Your Brain is an easy-to-follow comprehensive guide to getting the brain in the best shape possible, and keeping it there-for life! Doing the daily crossword puzzle and drinking Ginko Biloba may not be enough in fighting off mental decline. Alzeimers and Dementia are on the rise but clinical neuropsychologist David Nussbaum presents a comprehensive 5-part program for keeping brains operating at their best and fighting off these debilitating diseases. The author presents concrete, actionable tips to help you improve your: Physical Mental Social Spiritual Nutritional This is a complete system for getting the brain in the best shape possible and keeping it there for life. Our brains can remain as strong and as sharp at seventy as they were by twenty by following Dr. Nussbaum's 5 essential steps.